A range of handmade beeswax candles from Bees and Trees a smallholding in the Snowdonia National Park, between the majestic mountain Cadair Idris and the beautiful Mawddach Estuary. The smallholding includes native Meirionnydd oak woodland, a couple of small fields, a young orchard and fruit and vegetable gardens. The primary focus is on beekeeping with over 30 colonies of honeybees at several sites along the Mawddach estuary. They use the beeswax to make skin creams, candles, soap and polish. 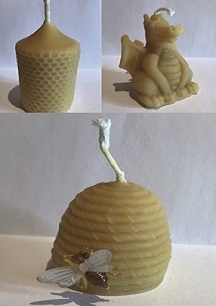 Made from 100% natural, unrefined beeswax, in the shape of a straw skep beehive. Please remove the plastic bee before burning. Just as good for leather as for wood. 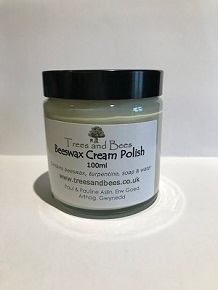 A soft, easy to apply beeswax cream polish. Rub in well, buff to a shine. No need to apply too frequently – just buff up between applications. Handmade cold process soap made with olive oil, coconut oil, palm oil and beeswax with lavender and lime essential oils, and colouring. A very simple cream that can also be used on the face as a night cream. Made with sweet almond oil, beeswax and water, with honey. Contains preservative (parabens). This is a thick, nourishing cream that will help to soften hard skin and heal cracks. It’s a thick protective cream. You don’t need much. 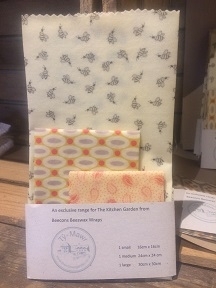 Beeswax Wraps! A fantastic alternative to Clingfilm or single use plastics. Produced locally using Beeswax supplied by Wyefield Apiariers and material from Bobbins of Brecon. Wash in warm soapy water (not hot), if they dry out put on a baking tray on baking paper in a low oven, wax will re-disperse or grate a little natural beeswax on top. They are also biodegradable so once they have been used to the max they can be placed in a compost bin! Their award winning artisan products are all handmade in the UK from 100% vegan, natural and organic, ethically sourced, sustainable & cruelty-free ingredients. Free from SLSs, Parabens, Mineral Oil, Palm Oil, Artificial additives or fragrances. Available in 500g, 1kg bags with muslin washbags or loose refills. 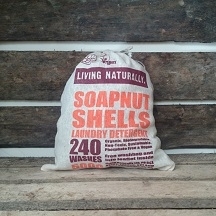 Soapnut Shells are the only Organic wild-crafted detergent that grows on trees! Soapnuts are highly-effective and gentle at the same time. Great for all fabrics, can be used at all temperatures from 30 -90 degrees C. Great for all washing machines especially energy efficient machines & great for all allergy sufferers! Soapnuts or Soapberries are actually dried fruit shells which contain real natural soap and are 100% completely natural. 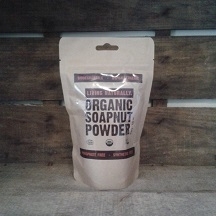 Soapnut Powder made from Organic Soapnuts can be used as a laundry powder and as a hair and skin cleanser as well! Soapnuts are highly-effective and gentle at the same time. It will leave your laundry fresh and clean and compared to other powder detergents, its mildness will keep colours bright, maintaining fabric structure of your clothes for longer periods. It can be used on all fabrics and at all temperatures. Great for all washing machines especially energy efficient machines & great for all allergy sufferers. 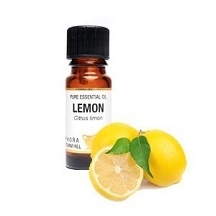 Lemon Essential Oil is a lovely, refreshing and uplifting oil. It can help to soothe irritation caused by insect bites and is also a insect repellent. Also used for athlete's foot, chiliblains, colds, corns, dull skin, flu, oily skin, spots, varicose veins, warts. When diluted it can be used in hair rinses, skin toners and fresheners. Excellent as a cleaning aid around the house to remove sticky, gluey deposits (do not use on polished or treated wood). Always test surfaces with a little first. A fresh floral and sweet smelling oil. Balancing, calming, relaxes, restores and maintains stability of the emotions. When burned or vaporised it can relax, restore and maintain stability of the emotions. It can be helpful to calm problems caused by PMT. 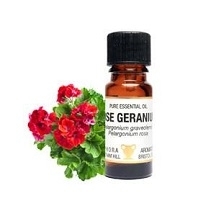 Rose Geranium is also a lice and mosquito repellent. 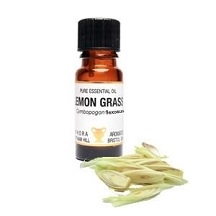 Lemongrass has many potential uses in aromatherapy. In skincare it's often blended with a base lotion or cream and used to treat oily skin, acne, for toning open pores and in insect repellent lotions. In massage lemongrass is commonly found in preparations to soothe aching joints and muscles as well as toning muscles, easing tired legs and fatigued bodies. It's often found in sport massage blends. It can be used to stimulate the appetite and relieve indigestion through massage too. When burned or vaporised it is used to stimulate, revive and energise the emotions and relieve stress related conditions as well as easing nervous exhaustion. It's an antiseptic and is used to help avoid infections, sore throats and laryngitis and reduce fevers. 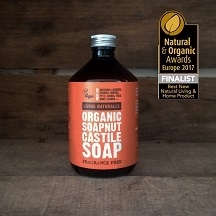 Organic Soapnut Castile Soap is a multi-use liquid soap which can be used for washing: laundry, dishes, veggies, pets & floors as well as face, hands and body! 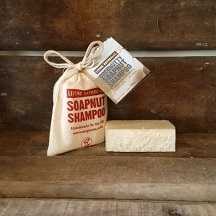 Our Organic Soapnut Castile Soap is vegan, biodegradable & phosphate free! made from organic oils and organic soapnut fruit extract, with no synthetic preservatives, detergents or foaming agents... this is clean and green all in one bottle! GREAT FOR: Balancing. Suitable for troubled, sensitive or unbalanced skin. Can also be used as a soap/shampoo for babies or for fine hair. 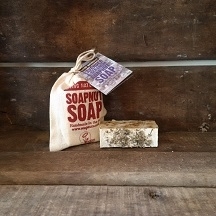 A beautiful artisan solid shampoo bar scented with cedarwood, patchouli and geranium, that brings on waves of 60s nostalgia! 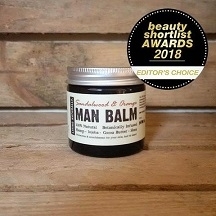 100% Natural, 90% Organic Vegan Botanically Infused Man Balm, is packed with softening & regenerative ingredients like Soapnuts, Cocoa Butter, Shea, Jojoba & Hemp. Easily absorbed and non-greasy. Because you can use it to moisturise your skin, beard and hair, it is great for travelling! With Sandalwood & Orange essential oils, this balm also has added anti-bacterial, balancing, anti-oxidant, soothing and anti-inflammatory properties! 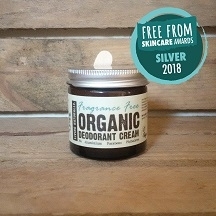 Organic Deodorant Cream is an awesomely effective blend of natural, organic & botanic ingredients which will neutralise odour and nourish underarm skin. Fast absorbing and non-greasy. Free from: Aluminium, parabens, phthalates, propylene-glycol, GM and synthetic ingredients. 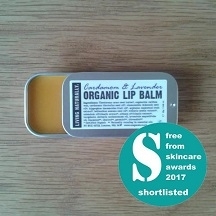 Organic Vegan Lip Balm is made with protective and nutritive oils, butters and plant wax enhanced with our Organic Soapnut Extract and organic botanical extracts of chickweed, calendula and marshmallow to create an anti-inflammatory, healing, softening and nourishing lip balm. THE HANDLE is made of MOSO bamboo, an environmentally sustainable timber. The bamboo is grown by many local farmers (NOT PLANTATION). The bamboo is heat treated to carbonise the surface of the bamboo, giving it a quality finish and good service life. The carbonisation finishing process provides water resistance and prevents the growth of microbes (bacteria and moulds) during normal use. THE BRISTLES are made from a BPA FREE polymer resistant to microbial growth during normal use, to ensure safety and durability. 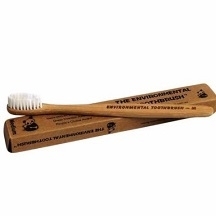 The other main question we get asked is about the manufacture of the toothbrushes - YES our toothbrushes are fair trade. Lovingly hand-made with certified organic and fair trade cotton guaranteed free from pesticides and other chemicals. Ideal for make-up removal, everyday complexion cleansing and other skin treatments. These naturally absorbent pads are a great washable alternative to disposable products. 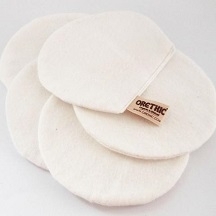 Pack for 5 soft organic cotton facial pads to care for your skin that you can use for many years!